Grade 416 has the highest machinability of any stainless steel, at about 85% of that of a free-machining carbon steel. As for most other free-machining steels the improvement in machinability is achieved by addition of sulphur which forms manganese sulphide inclusions; this sulphur addition also lowers the corrosion resistance, weldability and formability to below that of its non-free machining equivalent Grade 410. 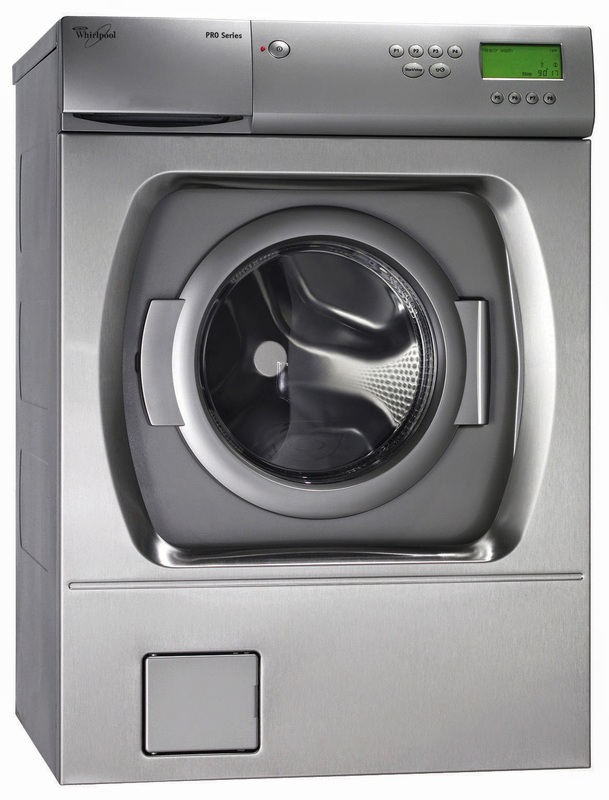 Grade 416 has useful resistance to dry atmospheres, fresh water and mild alkalies and acids, but less resistant than the equivalent non-free-machining grades. Less corrosion resistant than the austenitic grades and also less than 17% chromium ferritic alloys such as Grade 430. High sulphur content free machining grades such as 416 are totally unsuitable for marine or other chloride exposure. Heat to 815-900°C for ½ hour per 25mm of thickness. Cool at 30°C per hour maximum to 600°C and air cool. Heat to 650-760°C and air cool. Hardened by heating to 925-1010°C, quenching in oil, and tempering to suit the mechanical requirements. See accompanying table. Note: The tempering range 400-580°C should be avoided, due to poor ductility. Grade 416 has poor weldability. If welding is necessary ... use Grade 410 low hydrogen electrodes. Pre-heat to 200-300°C. Follow immediately with annealing or re-hardening, or a stress relief at 650-675°C. A better option if the weld is not required to be hard is to use a Grade 309 austenitic stainless steel filler rod. Valve parts, pump shafts, automatic screw machined parts, motor shafts and washing machine components. Bolts, nuts, studs and gears. 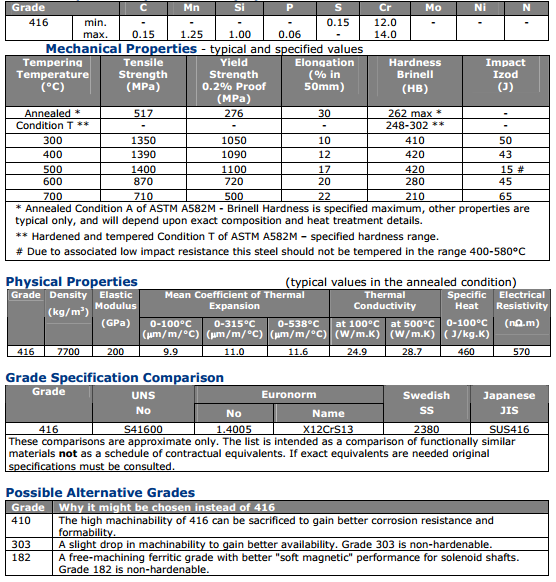 These properties are specified for bar product in ASTM A582/A582M. Similar but not necessarily identical properties are specified for other products such as wire and forgings in their respective specifications.